Graphic's Intense! Allow To Load, Before Scrolling! If you have photo's you'd like posted here, send me your images! I'll download them, put them on my server, and post them for you. I now have a scanner! Send me your ".gif" or ".jpg" graphics or photos! The 6/29 FA published an Officer's Roster on December 23, 1966. I have provided an "extract" of the information (RANK, NAME, and DUTY POSITION) as a matter of record. 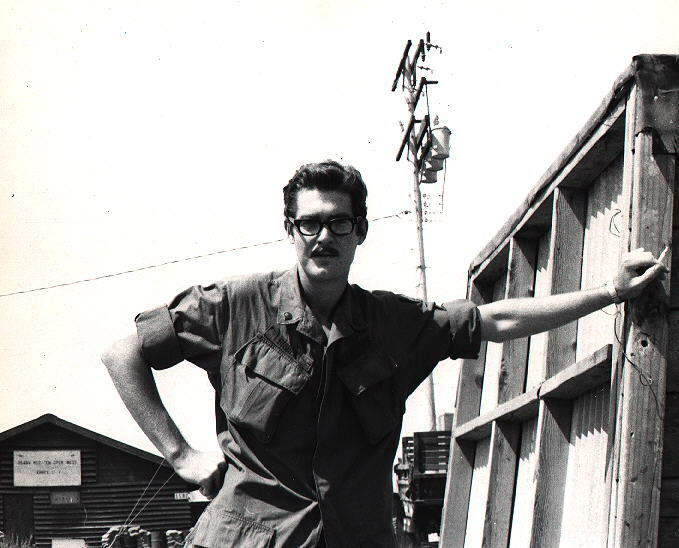 Photo Courtesy of Mom's Vietnam Veteran Web Site. Incoming Artillery Fire in Vietnam! Photo Courtesy of Sun SITE. 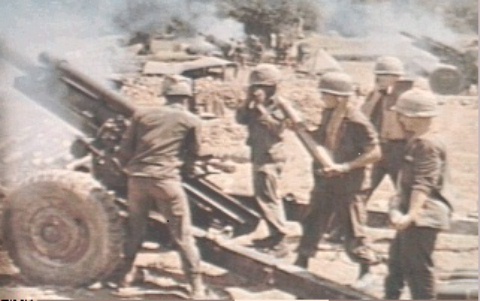 Outgoing Artillery Fire in Vietnam! USNS General Nelson M. Walker! 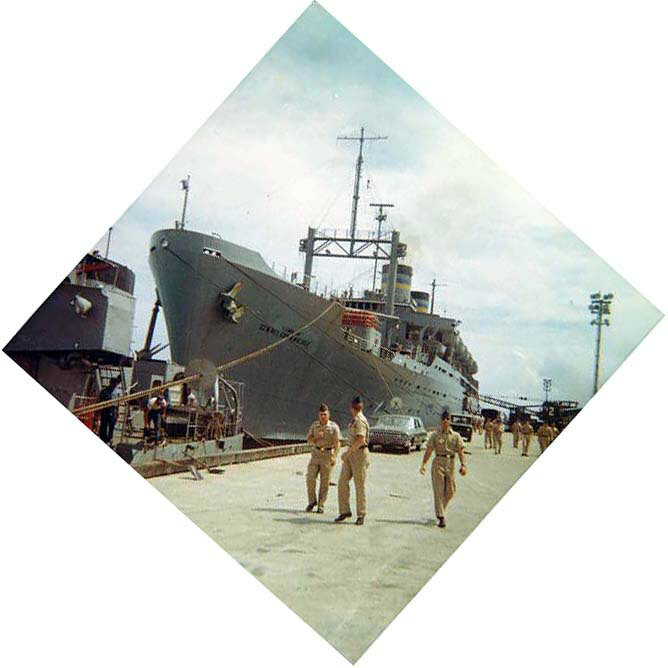 The SS Walker was scheduled to transport 6-29 FA to Vietnam in 1966. Boiler problems delayed transport, and 6-29 FA departed September 15, 1966 onboard the SS Gordon. This photo was taken in 1967, when 7-15 FA deployed to Vietnam! Photo Courtesy of Bob Donnan and the 7-15 FA Web Site! Note: This ship was named in honor of BG Nelson Macy Walker. As Commander, 8th Infantry Division, WWII, he was KIA at Normandy. 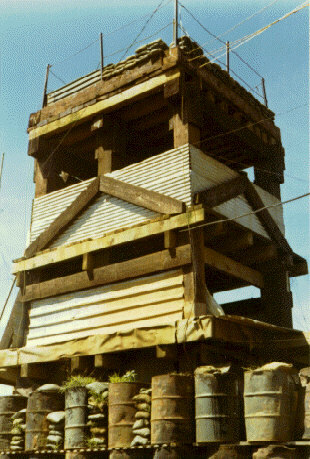 Searchlight Tower on Artillery Hill, near Pleiku, Vietnam! Sources report that Bty/Crew's of the 6-29 FA were there, in direct support! 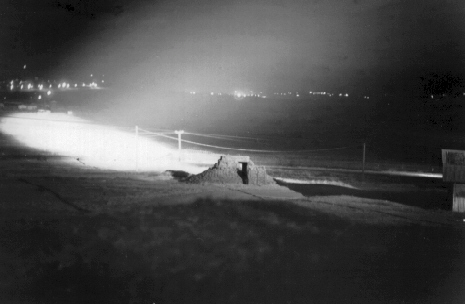 A searchlight pans the perimeter wire on Artillery Hill, near Pleiku, Vietnam! Photo Courtesy of Dan Fisher. On to Page Two ! My personal photo's were scanned by my neighbor, Bill Schwartz.